Virginia Beach is home to more than just sand, sun and surf. 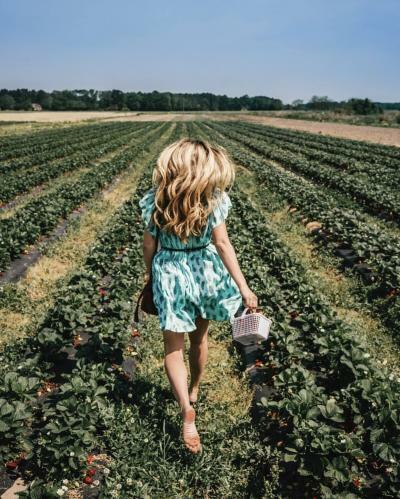 With a vast amount of farmland and fresh local produce, all available for you to explore and pick, spring is the perfect time to go from beachside to countryside in Va Beach. 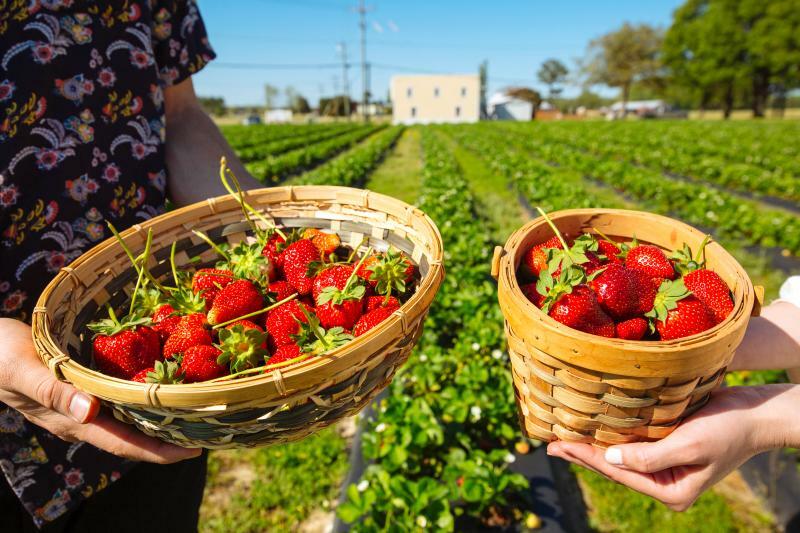 Virginia Beach strawberries have been enjoyed for their flavor and size by the likes of Captains John Smith and Christopher Newport, and even shipped back to England to be enjoyed as a delicacy abroad. 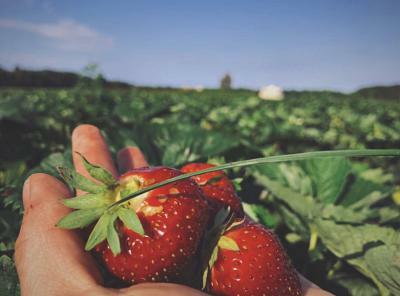 Our mild temperatures, held in check by the warm waters of the Atlantic Ocean, and rich soil made our abundance of strawberries one of the first American crops to be enjoyed by English settlers. Virginia Beach, the largest producer of strawberries in the state of Virginia, are still enjoyed far and wide today. Our rural Pungo Agricultural District is where most of the area’s strawberries can be found. Just south of Sandbridge in Virginia Beach, Pungo is home to 8,000 acres of farmland, including 16 places where you can pick your own. Grabbing a bucket and picking your own strawberries, like the settlers did before us, is still our favorite way to enjoy this local treat. Strawberry season in Virginia Beach runs from April - June, and when they’re gone, they’re gone. We recommend getting out to the farms early in the season and starting towards the back for the best selection. Here are some of our favorite spots to pick a basket of your own. 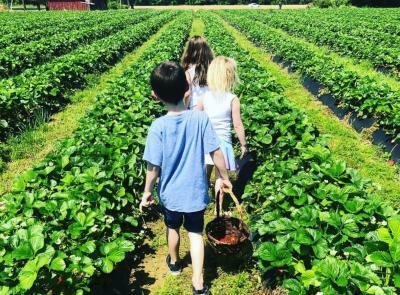 Operated by the 4th, 5th and 6th generations of the Cullipher family, this farm is a local staple where you can pick strawberries and blueberries, as well as peruse their market. Like Cullipher Farms, Flanagan Farms has also been run by the same family for multiple generations and is a Va Beach favorite. With two acres of you-pick strawberry fields, there’s no shortage of plump, delicious strawberries to be found here. This place just opened their second location, for even more you-pick opportunities. Don’t miss their market with various other fresh-picked produce, as well! 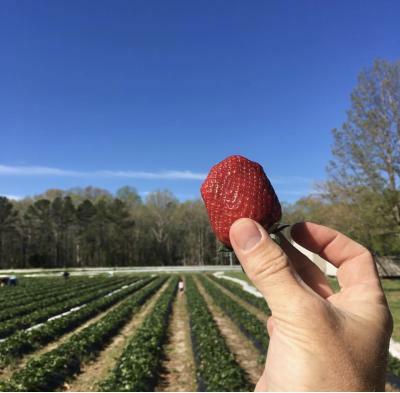 Henley Farms has been offering fresh produce in Virginia Beach for more than 40 years and offers many pick-your-own options like broccoli, cabbage, green beans, and, of course, strawberries. 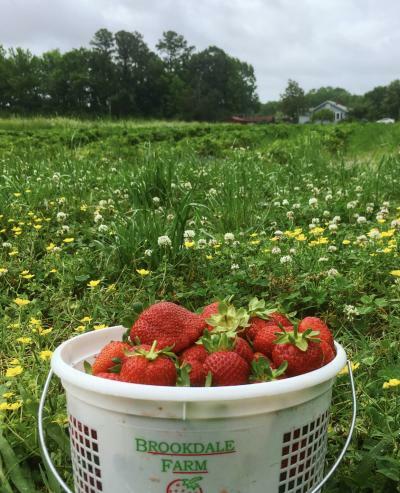 Brookdale Farms grows Chandler strawberries, known for their taste and forgiveness when not being entirely ripe upon being picked, making this a great place for younger kids. Other varieties grown include Ruby Jane and Camerosa which need to be picked at total ripeness for the best flavor. 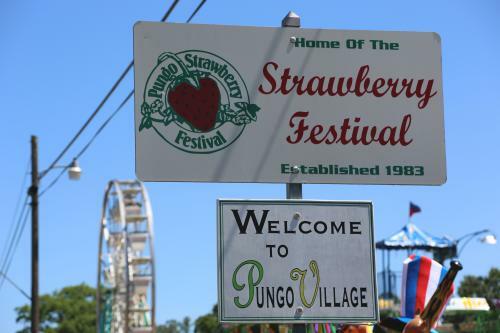 This staple crop is celebrated annually during the Pungo Strawberry Festival, a three-day strawberry-centric event with over 50 strawberry delicacies - like strawberry pie, chocolate covered strawberries, and even strawberry tacos, all made with fresh Pungo Strawberries - family activities, live entertainment, a parade, carnival, and much more. While the festival, which started in 1983, is held over Memorial Day Weekend every year, that doesn’t mean you have to wait until then to dive into the sea of fresh, local berries. Spring is in full bloom, and the Pungo neighborhood of Virginia Beach is ripe to explore. Plan your trip to Pungo now!